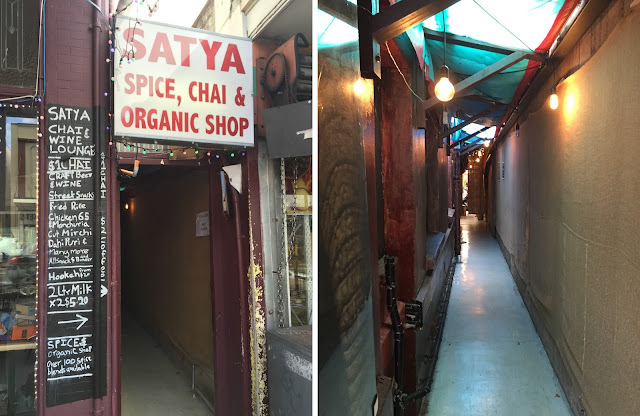 We came here because we were checking out the Sandringham Street Festival, and came across the intriguing little entranceway next to Satya Restaurant while hunting for chai. Alleyway entrance to the chai lounge. The menu was mainly taken up by drinks of various forms (including chai, craft beer and cocktails), but also had a selection of Indian, Indo-Chinese and non-Indian street food. Part of the menu - there were also 30+ types of craft beer. The setting was cozy and casual, with a natural look from the upcycled furniture made from coffee sacks, pallet boxes and tree trunks. Edison bulbs and plants on planks hung overhead. From other people's pictures, it appears quite magical at night with fairy lights too. A hidden hideaway in Sandringham village. We were also invited to take a look at the spice shop in the next room, a corner of which was being used to cook our food. Apart from spices and teas, you could also buy idli and dosa batter from the fridge! Vegetable manchurian ($12) - these freshly fried balls were delicious! The sweet soy flavour of the brown sauce went well with the spicy and gingery bites. 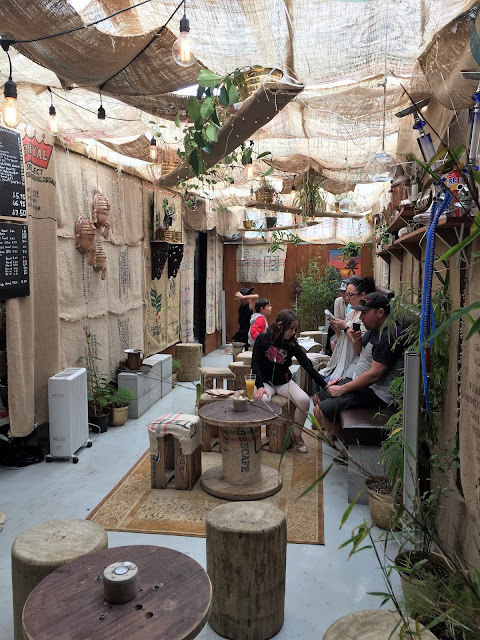 Overall, we were stoked to have stumbled upon our first chai lounge in Auckland, where you can relax, snack on tasty food, and choose from a wide selection of drinks. Others have even apparently played a game of carrom there, but we don't need entertainment to entice us back for another visit!